Howdy Spirulina Farmers! Our research staff has been culturing algae since January of 2000, supported spirulina farmers on six of our seven continents on Earth, and had our cultures sent to space... three times (would have been four, except for a small rocket explosion.) We have helped tens of thousands of students, hundreds of schools and universities (including Harvard, Yale, Oxford, Texas A&M, UCSD, and more). Growing algae is a great platform for experimentation and harvesting biomass is super rewarding (we dare you not to say "Green Gold!" when you are done). To the farming kit-----> This kit has three parts: BIOLOGICAL (algae culture), CHEMICAL (nutrients), PHYCISAL (salts and water mixing). 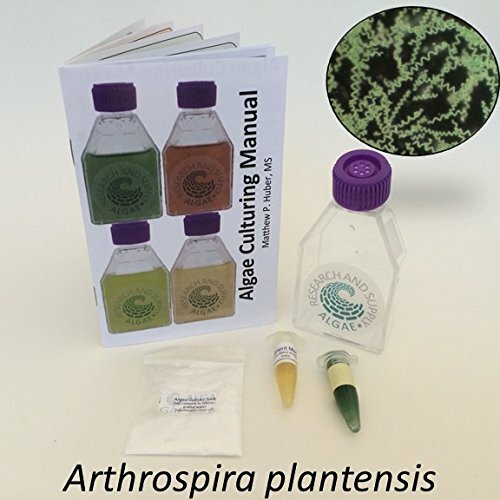 It includes easy to set up instructions and a booklet on algae culture. Better yet, we have a quick video series to answer questions (AlgaeResearchSupply.com). Our 5-gallon kit is the basis for the farming kit. Each 5-gallon salt and nutrient packets can yield around 20-40g of dry weight or around 500g wet weight (Approx. 1 lb of wet weight). Algae Research and Supply's mission is to educate on aquatic environments. We want to help you grow algae! Supplies you will need: 10-gallon aquarium, small air pump, and a light source. This is kit designed to give the student the tools to do a science project. It includes 1) 50ml starter cultures of concentrated algae (inoculum) 2) 8x Culture Tubes, self standing, 50ml. 3) Salts, (sodium carbonate, sodium bicarbonate, and trace metal containing sodium chloride) 4) Instructions for cultivation 5) Pipetter, polypropylene, graduated with 3ml capacity. 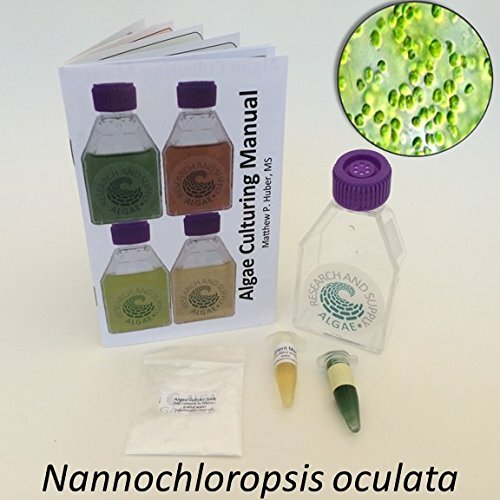 Description: From a 15-year veteran of algae culture, this kit is for growing algae in your home. INCLUDED: Culture, Nutrient Fertilizer, Salts, and Instructions. Our salts are a combination of sodium carbonate, sodium bicarbonate, and sodium chloride. 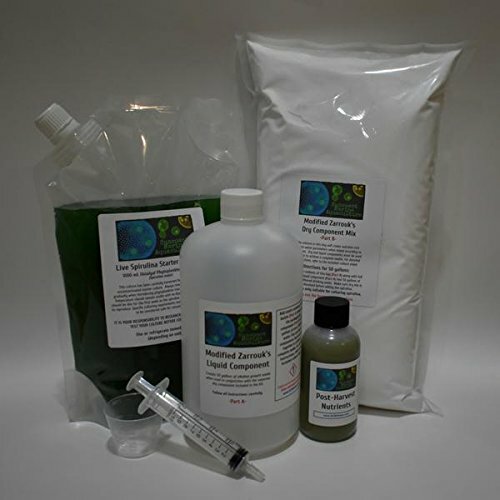 We are supplying all the things that you need to grow algae that you don't already have in your basement, or could buy from your local pet shop. YOU WILL NEED: chlorine free water (bottled water is best) and a something to test. Visit our website for ideas! 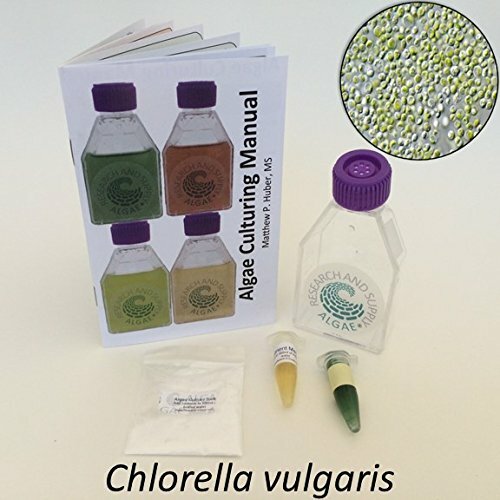 Algae Research and Supply: Algae Bloom Experiment Kit: Is my local water likely to have an algae bloom? 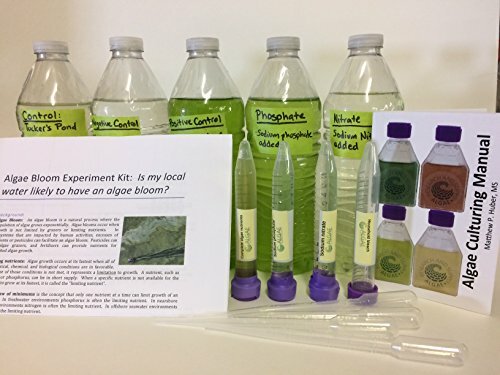 Hi Teachers, Students, and Parents, This lesson plan and experiment kit is an empirical method to test if your local body of water will have an algae bloom. It contains a detailed four-page lesson plan with experiment instructions. Also included are liquid nutrients (sodium nitrate, sodium phosphate, and a complete algae nutrient mixture) you need to supply household bleach. The experiment involves collecting water from a pond or lake near you, then dividing it into 5 different treatments. You will use plastic drinking water bottles as your culture flasks. 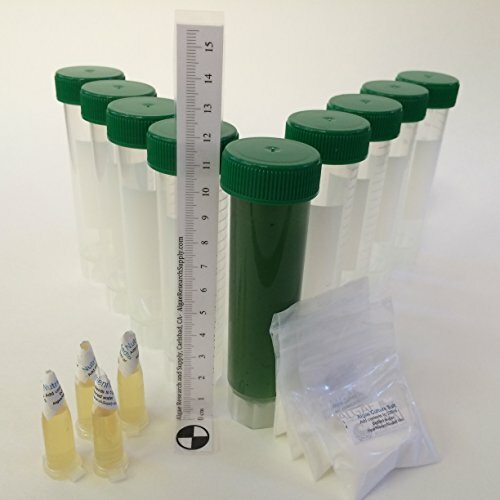 The treatments for this kit are a positive-control (algae culture), negative-control (chlorine bleach), test for nitrogen limitation (sodium nitrate), and test for phosphate limitation (sodium phosphate). The test can be repeated many times to get replication. We include a secchi stick, so that you can quantify the algae growth, using Beer-Lambers law. (You can see a video of the secchi-stick on Algae Research Supply's You Tube channel). Soon you can see a video of this product also. 1 ml of high-quality algae culture. 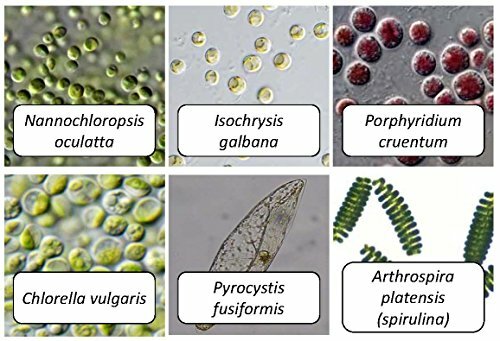 Including spirulina (Arthrospira platensis), Nannochloropsis, Porphyridium, Chlorella vulgaris, Isochrysis, and Pyrocystis fusiformis. Our scientists have been working with spirulina for over a decade. This is a premium culture that is very well taken care of. It is robust and will perform in your laboratory or backyard. Our proprietary mix contains all essential nutrients and trace elements to grow incredibly dense cultures of spirulina. No measuring is required! Each kit makes 25 gallons of perfectly balanced growth media. The live culture is laboratory-grown and guaranteed pure and highly active. This formulation of nutrients took over a year to perfect and has proven to grow the most dense and stable cultures of spirulina. Also included is a bottle of metals and nutrients used to replenish those depleted after harvesting. This allows your culture to thrive indefinitely by dosing after each harvest. Please contact me with any questions. I'll be happy to help in any way! Grow and measure algae to teach science in the classroom and at home. 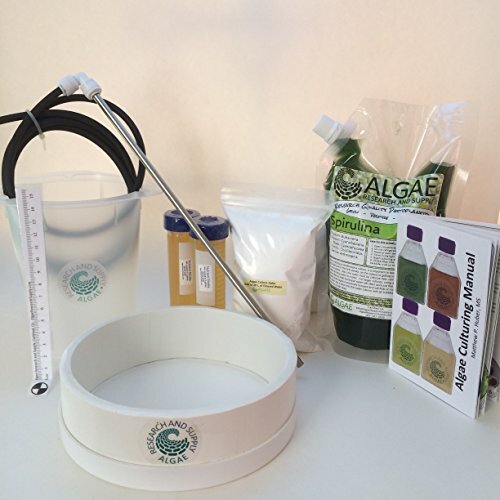 These kits make getting started experimenting with algae ease and affordable. 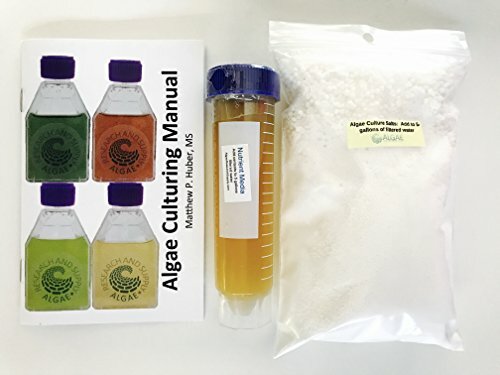 Algae Bloom Kit: Is my water nutrient limited? Compare prices on Algae Kit at Elevelist.com – use promo codes and coupons for best offers and deals. We work hard to get you amazing deals and collect all avail hot offers online and represent it in one place for the customers. Now our visitors can leverage benefits of big brands and heavy discounts available for that day and for famous brands.